Recommendations: Recommended for all travelers ≥9 months of age, except as mentioned below. 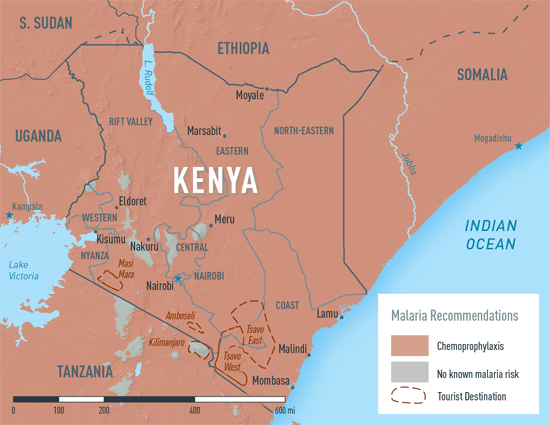 Generally not recommended for travelers whose itinerary is limited to the following areas: the entire North Eastern Province; the states of Kilifi, Kwale, Lamu, Malindi, and Tanariver in the Coast Province; and the cities of Mombasa and Nairobi (see Map 3-30). Malaria species: P. falciparum >85%, P. vivax 5%–10%, P. ovale rare. 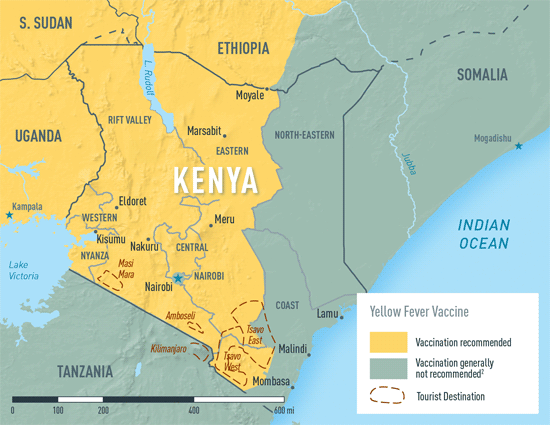 See Health Information for Travelers to Kenya.